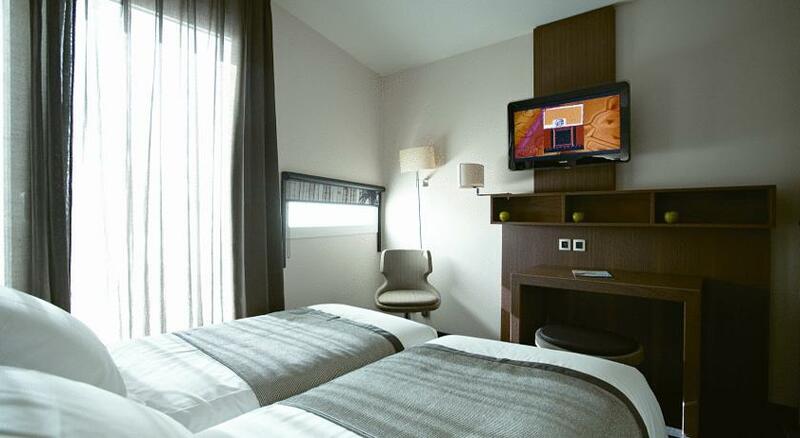 For the Park & Suites Prestige Paris Grande Bibliothèque (ex-Home Business) hotel we show actual room availability. The room prices and last minute discounts shown on OrangeSmile.com are also actual and final. Description: Near the François Mitterrand Library in Paris’s 13th section, this residence provides luxus suites with a loge, a work desk and satellite TV-set. Free of charge wireless is available in public zones. A room booking in Park & Suites Prestige Paris Grande Bibliothèque (ex-Home Business) needs to be validated by one of the common credit cards (VISA, MasterCard, American Express, DinerClub, etc). OrangeSmile.com never charges guest's credit cards - this is a full prerogative of our hotels. hotel Park & Suites Prestige Paris Grande Bibliothèque (ex-Home Business) reserves the rights to pre-authorise a credit card prior to your arrival. Reserve the right hotel in Paris without any booking fees and using our last-minute discounts. OrangeSmile.com online booking system offers all kind of accommodation and lodging types in Paris: single, double, triple rooms, apartments and suites - always with our best price guarantee. Use your travel budget efficiently - make your stay in hotel Park & Suites Prestige Paris Grande Bibliothèque (ex-Home Business) cheap and comfortable.